This was written by admin. Posted on 金曜日, 7月 11, 2014, at 8:59 AM. Filed under Sale. 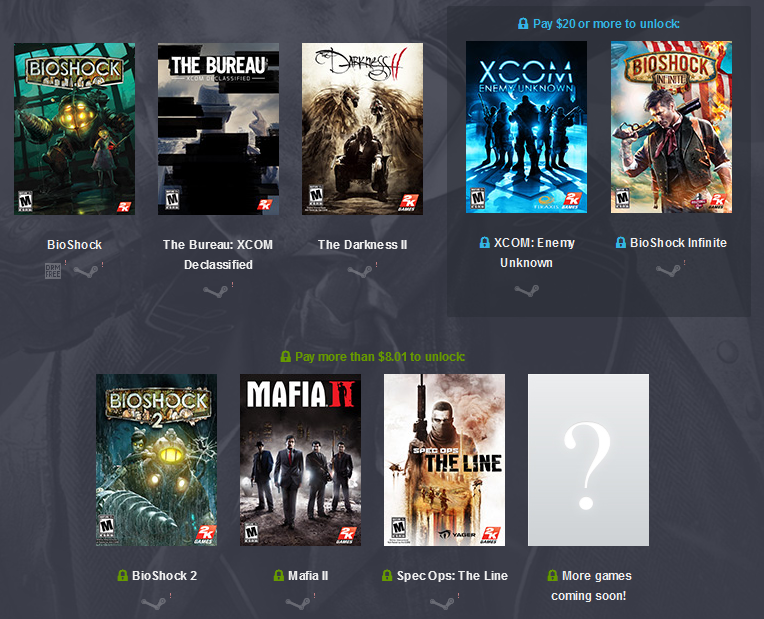 Tagged 2K, BioShock, BioShock Infinite, Game of the Year, Humble, Humble 2K, Humble 2K bundle, sale, Steam. Bookmark the permalink. Follow comments here with the RSS feed. Post a comment or leave a trackback.